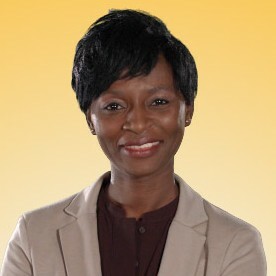 Nathalie is Editor-in-Chief of the French and the English editions of Africanews. Before joining Africanews in 2016, Nathalie has been working for various TV and radio media outlets all over across the African continent, from Cameroon to Senegal. She spent 5 years at BBC Africa as a journalist based in Dakar. While at the BBC, she presented the news, produced interviews and reports for the news programmes. Earlier in her career, she worked for the Cameroonian TV channel Equinoxe as a Deputy Head of Programmes in charge of monitoring the editorial line, special programming and advertiser relations. She also worked for Equinoxe’s radio station as a reporter and a programme host. Well before that, Nathalie started her career as a journalist in charge of cultural reports for the radio station RTM Douala. Nathalie graduated from University of Buea, in Cameroon, with a degree in Journalism and Communication.